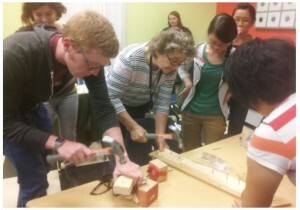 The Center provides a Research Experience for Teachers (RET) program each summer. Middle-school, high-school, and community-college teachers are eligible to apply. Participating teachers engage in research, develop a network of scientific colleagues, learn scientific and technological developments, and discover ways to transfer this knowledge to their classroom. Teachers are matched up with a center faculty based on research interests. Program participants conduct hands-on, cutting-edge research for eight weeks. At the end of the program, the teachers are asked to summarize their findings in a technical final report and to develop a short curriculum project based on their research that can be adapted to their own classrooms. In addition, they also have the opportunity to give a 15-minute oral presentation at the closing symposium. Other program activities include a field trip to a national lab or an industrial research site and seminars by Northwestern faculty. For an overview of Center research, please visit our research section. A list of some previous projects is also available. Our RET program participants receive an $8,500 stipend. Travel funds are available for participants, and housing subsidies are also available for those coming from outside the Chicagoland area. To be eligible for the program, the teacher must be a U.S. citizen or permanent resident, have at least a bachelor’s degree in science or engineering, and be able to conduct on-site research during the entire eight weeks of the program. For further information, contact mrc-ret@northwestern.edu, 847-467-0470. 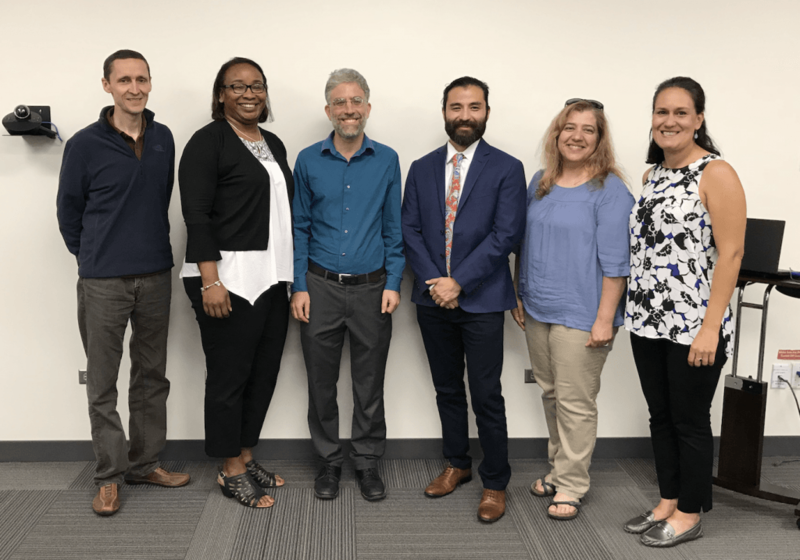 The Engineering Transdisciplinary Outreach Project in the Arts (ETOPiA) uses performance arts in the McCormick School of Engineering and Applied Sciences to inspire a cross-disciplinary dialogue about the role of science and technology in society. This annual event highlights the pursuit and application of knowledge by individuals whose historical and personal circumstances span from tragic to epic. ETOPiA strives to generate awareness among students of all ages and disciplines about the interdependence of the different fields of study, and the services, responsibilities, and obligations of engineers and scientists in today’s society. ETOPiA was founded by MRSEC Researcher Professor Matthew Grayson, and receives support from the NU-MRSEC. The Fall 2016 ETOPiA season will present “Friday Night at the Movies” as a new way to promote and inspire conversation. 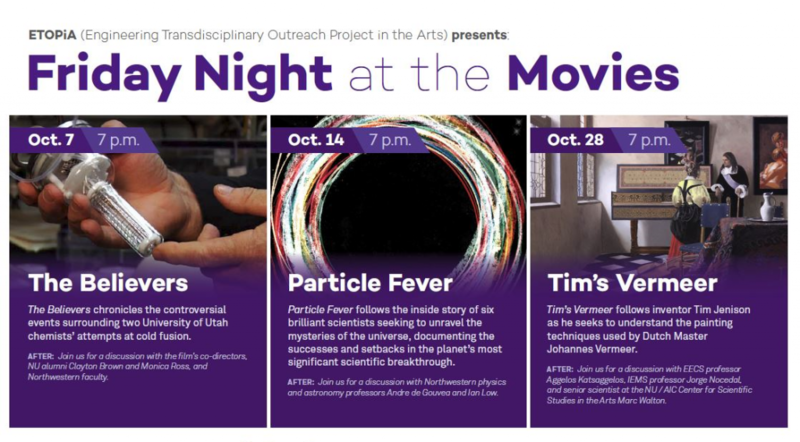 Three documentary films — The Believers, Particle Fever, and Tim’s Vermeer cowill be screened and are connected to this year’s One Book One Northwestern selection, Nate Silver’s The Signal and the Noise. Silver’s book discusses how predictions of outcomes based on sound methodologies can affect everyone’s lives — even those without a statistical background. The NU-MRSEC has partnered with the Chicago Museum of Science and Industry to create a new temporary exhibit focused on materials science and society. The goal of the exhibit is to showcase the tandem relationship between human mastery of materials and the advancement of human civilization. The display features the latest in materials design and technology with applications in space exploration and nanotechnology. The exhibit features displays of a variety of material samples that will engage the audience through the senses of sight and touch while leveraging the leadership and technical resources of Northwestern. Two videos from the exhibit can be found by clicking on the images below. iLabs are an emerging online tool that provides new opportunities for the delivery of science laboratory experiences. The iLab Network provides teachers and pre-college age students with remote access via web browser to laboratory equipment housed at universities and research labs that would otherwise be unavailable to outside users. This access enables teachers and students to design and conduct their own experiments using authentic high-end scientific instruments. Use of iLabs has been shown to promote more authentic scientific investigation practices by providing real data from self-guided inquiries. 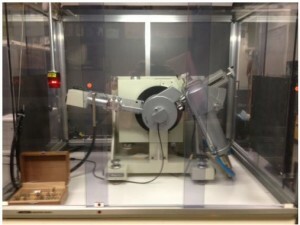 NU-MRSEC is collaborating with the Northwestern Office of STEM Education Partnerships (OSEP) to connect an X-ray powder diffraction machine from the J.B. Cohen X-Ray Diffraction Facility to the remote iLab network and develop curriculum for high school- and college-level experiments. Furthermore, NU-MRSEC has partnered with the Francis W. Parker School in Chicago who will serve as a test audience of these Materials Science iLab curricular modules. National Science (AAAS, NSES) and Math (NCTM) standards – as well as selected state Science and Math standards – have been mapped to the activities and design project(s) of most MWM and all National Center for Learning and Teaching in Nanoscale Science and Engineering (NCLT) modules. 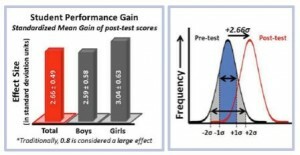 Nationwide field tests demonstrate an average student achievement gain of 2-3 standard deviations after participating in a single two week MWM module. Examples of interdisciplinary modules include Composites, Ceramics, Concrete, Biosensors, Biodegradable Materials, Smart Sensors, Polymers, Food Packaging, Sports Materials, Solar Cells, Nanotechnology, and Drug Delivery. The MWM Program was introduced to the State of Chihuahua, Mexico in May of 2005 through a series of teacher workshops highlighting a number of modules translated into the Spanish language. Since then, NU-MRSEC has collaborated with the MWM program to help MWM-Mexico to expand its impact around the whole of Mexico. 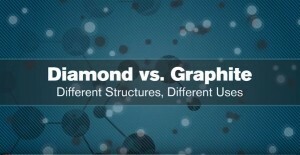 Available Spanish modules include Sports, Concrete, Composites, Biosensors, Biodegradables, Introduction to Nanotechnology. During the past two years, MWM has also been working with schools in Qatar and China. 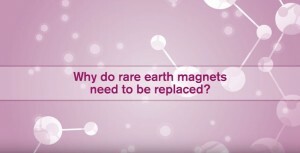 Materials World Modules (MWM) in international education and outreach. For more details, please visit the MWM site.